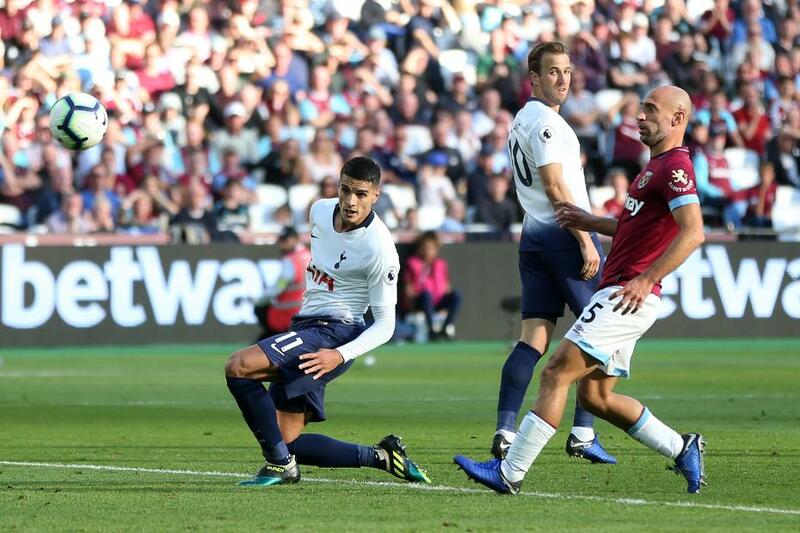 Erik Lamela scored the only goal as Tottenham Hotspur beat West Ham United 1-0 for a fourth successive Premier League win. A minute before half-time, Lamela headed in his third PL goal of the season from Moussa Sissoko's cross. The home side were almost level on 48 minutes, but Marko Arnautovic had his close-range header superbly saved by Hugo Lloris. West Ham had the ball in the net with five minutes remaining, but Chicharito's effort was ruled out for offside. Spurs rose to fourth on 21 points, while West Ham are 14th, on seven.